This book, despite also being my doctoral dissertation, was actually a very personal journey for me. My relationship with yoga has now stretched on for over a decade. I became an avid practitioner of the postural variety during my undergraduate years and remain so to this day. Back then, little information was available on how postural practice had emerged and what it had to do with the ancient Indian tradition whose age various yoga teachers like to estimate in millennia. Somewhere along the way I decided that I had better become a yoga teacher myself and serendipity landed me under the tutelage of Jimmy Barkan, a senior teacher who was not only himself a student of Bikram Choudhury (the notorious patriarch of “hot yoga” in the United States) but also a disciple of Paramahansa Yogananda. Still, when we read Autobiography of a Yogi as part of the teacher training program, the reasons for this choice of literature were completely opaque to me. I positively could not see what Yogananda’s scientific speculations or accounts of yogis materializing oranges out of thin air had to do with doing lunges. It wasn’t until several years of graduate school and as a result of a lot of soul-searching on my part that it all clicked into place. Elizabeth De Michelis’s A History of Modern Yoga came out in 2005, and then Mark Singleton’s Yoga Body in 2010—these filled in many of the gaps but not all. The missing puzzle piece for me turned out to be Western esotericism and specifically American metaphysical spiritualities. Incorporating these into the picture made me understand not only Yogananda’s magical yogis (which are after all not so out-of-place in traditional Indian narratives) but also why everyone at my teacher training was so obsessed with the Law of Attraction. De Michelis first sparked this connection in my mind when she called modern yoga “the graft of a Western branch onto the Indian tree of yoga” but I’m now inclined to modify the metaphor. Modern yoga is less a graft and more an inosculation­—the place where two trees, each with their own ancient root system, have entwined so intimately that they have become one. This also helps explain why modern yoga is so weird, wacky, and contradictory. It turns out that Yogananda’s life is a very good representation of this messy narrative. Plus, I get to tell people that my book is about yogis and superpowers. For the purposes of this book, religion is the possibility of the human to become superhuman. I make no truth claims regarding the extent to which this is ontologically possible but, as far as narratives go, the yogi is historically very much the embodiment of this possibility. My discussion of how people have imagined yogis over the centuries largely hinges on this notion of the yogi as superhuman, as having attained extraordinary powers, possibly to the extent of having become godlike—this might seem pretty out of touch with modern yoga practice. Most modern yoga practitioners, especially in the US, are far more concerned with fitting into their yoga pants than they are with how to go about levitating. This is where the metaphysical spirituality component becomes crucial. The popularity of yoga tells us something very important about the role of psycho-physical health in our culture. As Catherine Albanese has argued, metaphysical religion is ultimately premised on the view that wellness can itself be salvific. The role that yogis play in the rise of physical culture is what gets us from Point A to Point B. Modern day yoga practitioners may not be after superpowers in the strictest sense, but their practice is still geared at turning the human into a more perfect version of itself. Perhaps the most important implicit point of this book is that modern transnational yoga is a genuine and logical continuation of the manifold forms in which yoga has existed throughout history. It’s not a bastardization nor is it an appropriation in the simplest sense. Modern yoga practitioners are engaging in something that has a very deep and complex history. Secondly, yoga represents a powerful force on the American religious landscape far before the explosion of interest in all things Eastern that accompanies the counterculture of the 1960s and 70s. By that point, yogis have been major players on the alternative spiritual market for almost a century. What we see towards the end of the twentieth century is only striking because it comes after a relative lull during which the first wave of importation becomes so integrated into domestic spirituality (especially various schools of New Thought) as to become almost indistinguishable from it. However, without this groundwork, the current popularity of yoga would be unimaginable. Finally, while yoga and yogis, as such, are undoubtedly South Asian in origin, turn-of-the-century American audiences find them so compelling because they speak to a pervasive current in Western religious thought. Yogis are able to present a convincing methodology towards the goal of self-divinization that they shared with Euro-American esotericism. White points out that, in medieval India, there’s quite a bit of crossover between alchemists and hatha yogis. Is it so surprising, then, that the schools of thought most eager to embrace yogis are those that have their roots in European alchemy and the kind of neo-Platonic emanationism (rather than more standard dualistic Christian cosmologies) that tends to dominate there? Yogis find their home in America and Europe by crossing an important cultural bridge. Understanding the structure and characteristics of this bridge elucidates not only the modern popularity of yoga in the West but has major implications for everything from religion and science to superhero stories. I mentioned De Michelis and Singleton above, but in terms of intellectual models, I would have to give that credit to David Gordon White. His work on yoga and tantra was how I ended up at UC Santa Barbara to begin with and his Sinister Yogis, especially, was a game changer for my way of thinking about yoga. Aside from the methodological move from looking at what “yoga” is to what people who are called “yogis” do, that book was responsible for my formulation of the yogi as quintessentially the guy with superpowers. There’s very little that’s consistent about yoga over the last two thousand years, but that characteristic of yogis is a pretty stable data point. It turns out many turn-of-century Americans thought yogis were pretty sinister too. The most general way of stating this is to say that I ended up writing about a man who was more than just a man. I was drawn to Yogananda as a subject for many reasons—partially because encountering his narrative was such a lynchpin in my own experience with yoga but also because he genuinely stands at a very crucial but very messy historical junction as far as yogis and yoga practice are concerned. However, I was highly conscious that what I saw as a deeply human person striving to embody this lofty spiritual ideal was to many others a supremely enlightened master, and their guru. I found myself treading a very thin line between being a historian and being respectful. 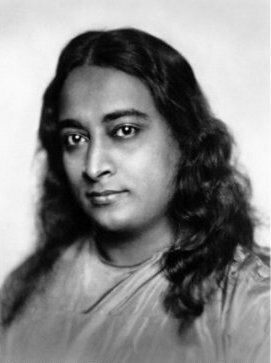 On a more practical level, it was difficult to untangle Yogananda from his institutional identity. Because my larger point was about the yogi as a cultural construction, I didn’t want to spend a lot of time on his organization, the Self-Realization Fellowship. At a certain point, they became difficult to avoid—without getting into the details, I now know roughly as much about the copyright status of Yogananda’s materials than I do about Yogananda himself. Enlightened gurus make for tricky case studies. It may be a little early to answer this question. My answer will likely be very different after the book has been out in the wild for a year or two. At this point, the reaction that stands out to me the most has been from a reader who went from being disenchanted to downright repulsed by Yogananda before the book’s end. It may be important to mention that I generally regard this person as a skeptic when it comes to guru figures, if ever there was one. To repulse is certainly not my intention, especially as Yogananda’s human fallibility is what I ultimately find most compelling about him. Actually, I was only about halfway through the manuscript when I realized that it really needed a counterpart. The book has an epigraph—it’s the lyrics to a 1941 song called “The Yogi Who Lost His Willpower.” The song originally drew me in because it catalogued basically every American stereotype of yogis: the crystal ball, the bed of nails, all of it. But it finally occurred to me that the song’s narrative had two principal characters, both named in the first verse: “There was a Yogi who lost his willpower, he met a dancing girl and fell in love.” I’d long been aware that the subject of my book had a very specific gender. Yogis have historically been men—this is the case everywhere, from practice manuals to folk narratives—and while their female counterparts (yoginis) do exist, they’re either sidelined or understood more as mythological creatures than real women. However, in the early American context, the stock character of the yogi does have a female counterpart. It’s just that she’s not a yogini, she’s a “dancing girl.” As obsessed as turn-of-the-century Americans were with yogis and their asceticism, magic, and general spiritual mystique, they were equally fascinated with the exotic sexuality of the “nautch girl.” In fact, the two often showed up together in popular depictions. So that’s next. Anya P. Foxen is a scholar of modern yoga with correlating interests in gender and sexuality studies and science and religion. 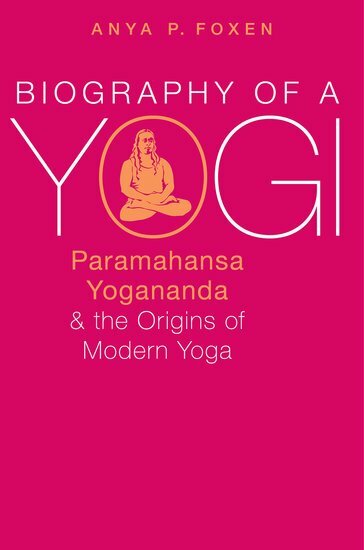 Her new book, Biography of a Yogi: Paramahansa Yogananda and the Origins of Modern Yoga (Oxford University Press, 2017) examines how the figure of the yogi functions as a bridge between Indian and Western Esoteric conceptions of the superhuman. She currently teaches as Cal Poly State University, SLO and is a certified yoga instructor and long-time practitioner. I’ve been aware of this book for awhile and this interview makes me really want to read it.